No Bosnian documents from the late 13th and early 14th Century have survived. Ethno-social occurrences from that time period thus stay outside a historian's view, but at the time when Bosnia, under Ban Stjepan II Kotromanic entered a phase of territorial expansion and social growth, the concepts of national consciousness became more complex and with new factors added to the mix. The first item to be noted is the use of the Bosnian name in the 14th and 15th Century. The name is used in Cyrillic documents of medieval Bosnia, in Latin scripts about the "Bosnian church" and the notaries of Dalmatian towns. But in each of those three instances, the Bosnian name pertains to a different group, every one of them is indicating a separate level of national consciousness. What was the role and purpose of the Bosnian name? The Bosnian name was first used in Cyrillic documents. In determining the relationship with Dubrovnik, and the procedure for solving arguments, Ban Stjepan II, in a document from 1322 uses the terms "Dubrovcanin" (obviously, a citizen of Dubrovnik) and "Bosnanin". That oldest authentic name for an inhabitant of Bosnia occurs very rarely in documents of Bosnian kings - but when it does, it is usually "dobri Bosnane" ("the good Bosnian"). After Bans Stjepan II and Tvrtko I we encounter this term in some documents from the 15th Century (Tvrtko II, Stjepan Ostojic, Stjepan Tomas).57 Even this relatively rare mention of the name "dobri Bosnane" is very important. First of all, the usage of terms "Bosnjanin" vs "Dubrovcanin" in the document of Ban Stjepan II in 1322 isn't a continuation of the documents of Ban Matej Ninoslav, but rather builds on Kulin's document from 1189. 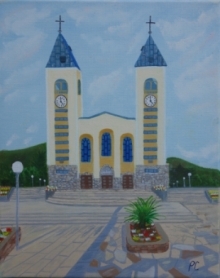 Kulin doesn't use the term "Bosnjanin", but does use the term "Dubrovcani", and not "Vlasi". Terms "Srblin" and "Vlah" were only temporary, and as previously discussed, found their way from Raska into the public office of Ban Matej Ninoslav, and certainly had no base in the actual social and national order of Bosnia, and that is why there is no trace of them ever being mentioned again after the first half of the 13th Century. Only the term "Bosnjanin" correctly reflected the independence of Bosnia, and that is why it is used in the documents from the 14th and 15th Century. But, to what or whom did exactly these terms, "Bosnjanin" and "dobri Bosnjani" refer to? The term "dobri Bosnjani" has a class designation. It refers to aristocracy, and not an inhabitant of Bosnia, or a citizen of the Bosnian state. In the latter part of medieval times, Bosnia in 1377 became the Bosnian kingdom (Regnum Bosnae), and the dominating orientation was an allegiance to the crown and the state. The Bosnian state or "rusag Bosanski" included all of the Bosnian aristocracy, ie. "dobri Bosnjani".